Made this awesome Hoop Travel Bag from the wonderful ladies at Frosted Pumpkin Stitchery….so cute that it quickly got used for my knitting! LOL must make another one for my hoops now! 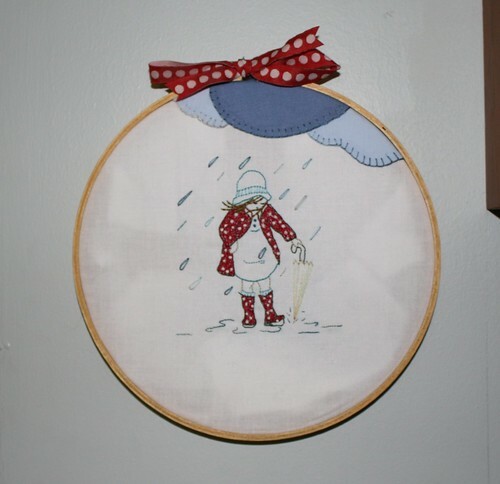 Also finished and posted my inspiration piece for Hoop Up Stich and Send swap. 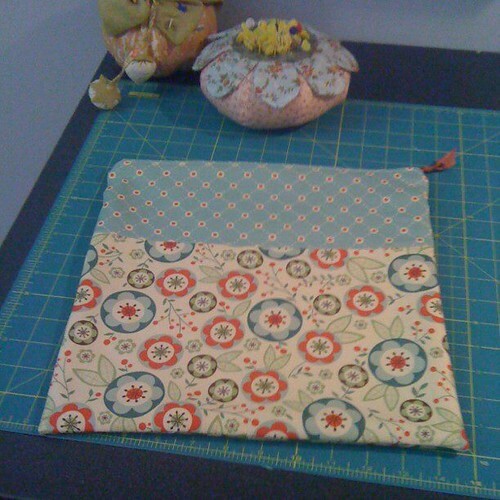 It is a design by Sarah Jane Studios and was so fun to stitch! I added some applique clouds into it as well! Started the fabric picking and cutting for this awesome QAL! 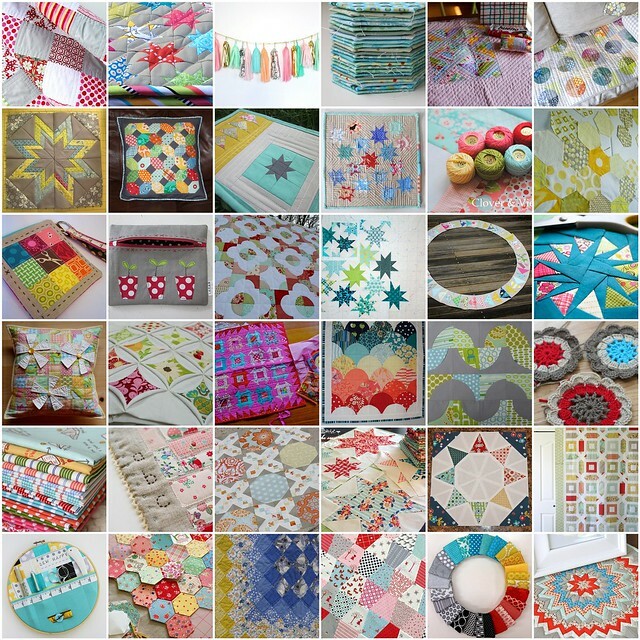 And after a long hiatus I have rejoined the Doll Quilt swap on Flickr. DQS12 is under way and I am busy brainstorming my partner’s quilt! I love this swap and have missed not participating! Still working on my Vignette in Stitches quilt, and my Coastal Knits sweater. Also working on the ideas for my Hoop up Stitch and Send swap partners! Still on hold is my Farmers Wife quilt. Hoping to get back to that this weekend! This entry was posted in Uncategorized, WIP Wednesday. Bookmark the permalink. Love that fabric on the bag! !